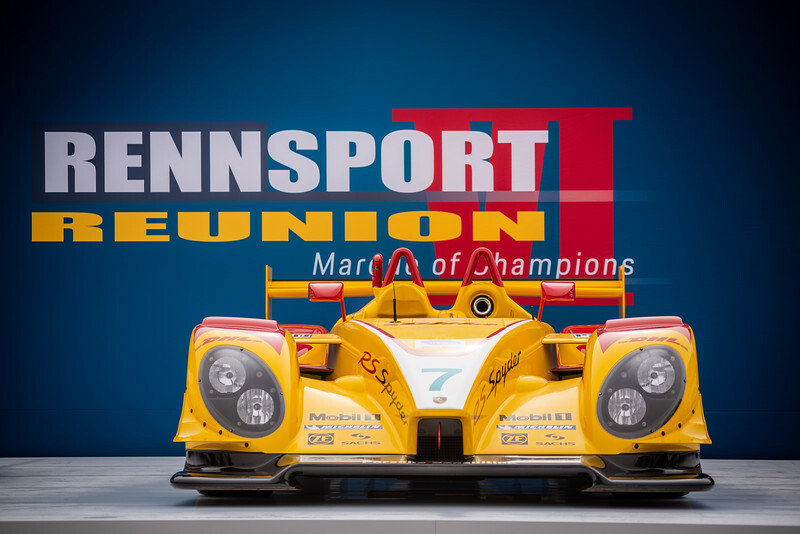 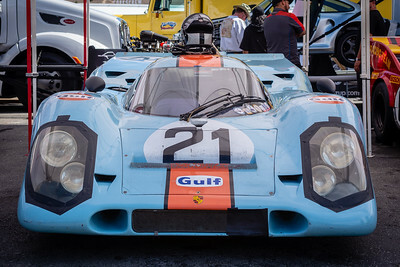 A celebration of Porsche's racing heritage, Rennsport Reunion has been held at Laguna Seca in California every few years since 2011. 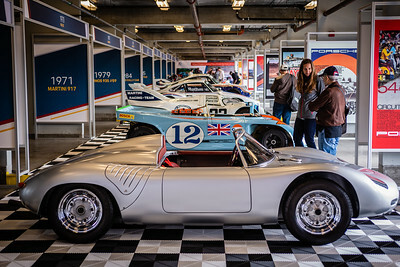 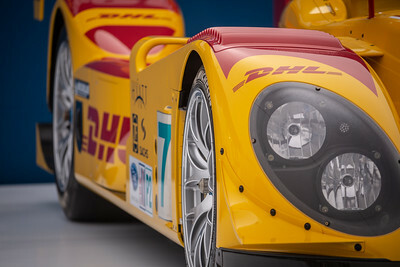 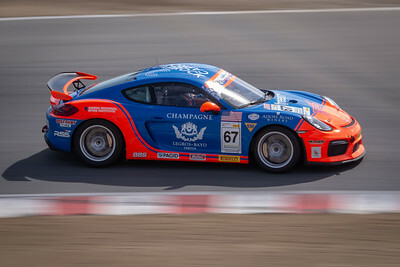 The 2018 event celebrated Porsche's 70th anniversary. 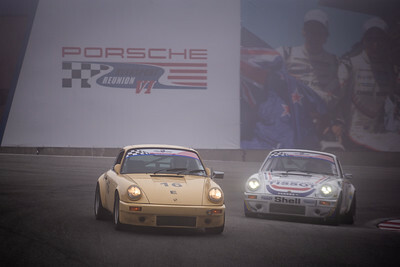 A 1981 911 SC Euro (left) and 1987 911 Carerra enter the famous Corkscrew in the fog. 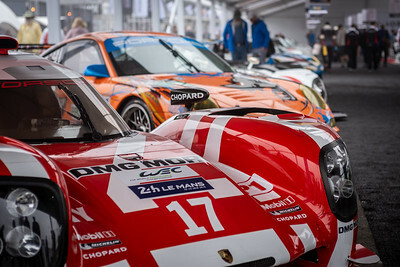 The lineup of cars in the Chopard Heritage Display. 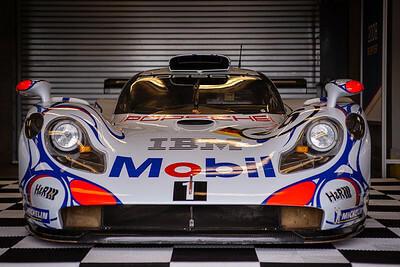 Foreground: 2015 919 #17; Background: 2011 911 RSR #80. 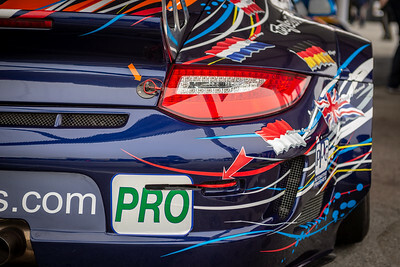 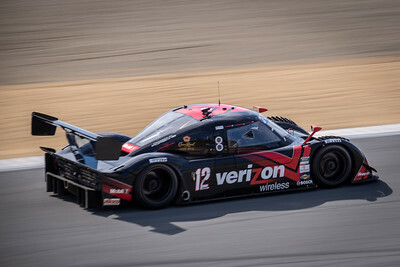 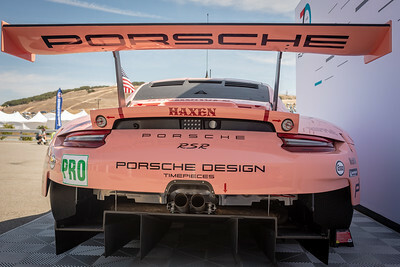 Right rear quarter of the Flying Lizard Motorsports 2011 911 RSR #80. 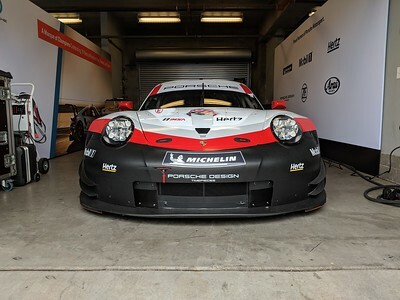 The 2018 911 RSR in its garage. 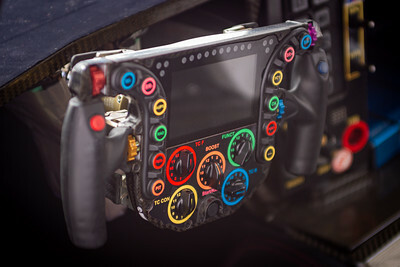 Steering wheel of the 919 Evo. 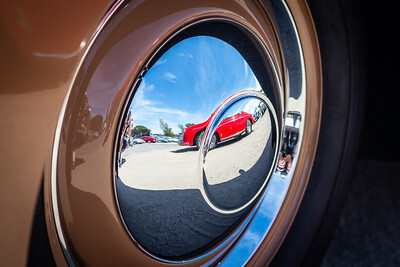 Reflections of a 356, in the hubcap of a 356. 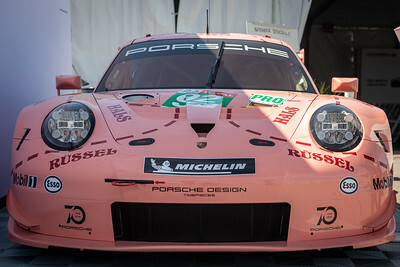 The 2018 Le Mans-running 911 RSR in its "pink pig" livery. 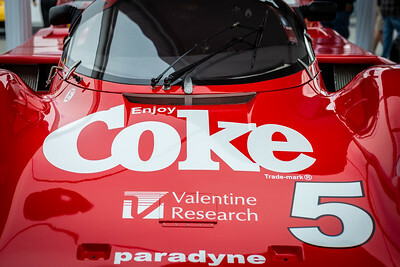 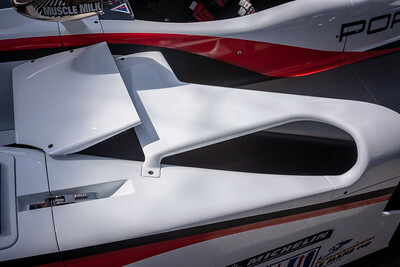 Details of the Muscle Milk RS Spyder. 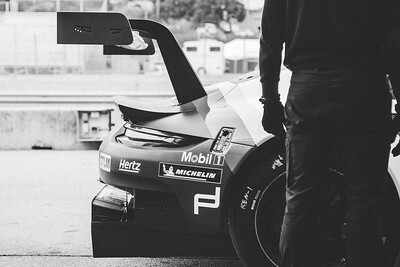 2018 911 RSR pit stop during its demonstration laps.